Kelley recently introduced me to Pondicheri and its Bake Lab. Um...how cool is the term "bake lab?" The above photograph features the popular Chocolate Mint Coconut Almond cookie. The Pondicheri Bake Lab works around seasonal ingredients and "musing moods" to create a wide variety of sweets and desserts. There are sweet and savory muffins, a chocolate brioche that resembles a chocolate mountain of goodness, and then pistachio cardamom, figlets, lemon squares, and ginger clouds. Even among my Dallas and Austin friends, Pondicheri is a favorite. Thus, for a recent venture up to Dallas for a dear friend's wedding, I made Pondicheri my last stop before leaving the Houston city limits. Right around 11 AM, the cookies come out of the oven and fill the glass case. I mulled over my choices and finally hit the freeway, northbound for Dallas, with two bags of Pondicheri goodies. I cannot wait to go back and try traditional Indian cuisine for breakfast, lunch and dinner. Stay tuned! 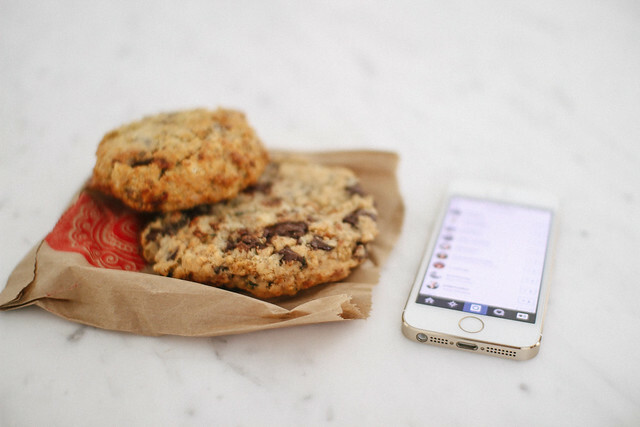 And in the meantime, swing by Pondicheri for your own Chocolate Oatmeal Chili cookie or a Pista scone.